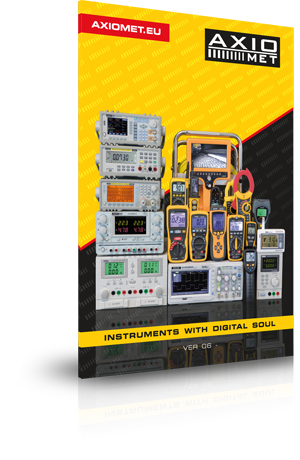 AXIOMET is a supplier of measuring and laboratory equipment used in a wide range of industries. Our products can be used in professional applications in industry, service stations, or automobile repair shops. A wide range of products is also offered to hobbyists. Now you can see the practical capabilities of AXIOMET equipment prior to purchase. This is possible thanks to the new AXIOMET’s channel on YouTube: Subscribe to AXIOMET’s channel. 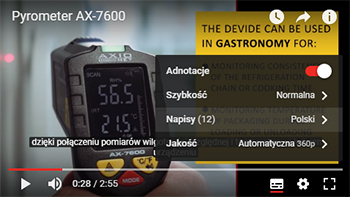 Watch product videos presenting sample applications for a given device, its functionalities and key operating conditions. How to use the channel? You’ll easily find interesting information on AXIOMET’s channel. Playlists include clips categorised by particular product groups. This will make it easier to find the videos or devices you’re looking for, and make correct choices. Our videos include an English voiceover. Additionally, they feature subtitles in 11 languages: Polish, English, German, Czech, Romanian, Bulgarian, Hungarian, Spanish, Slovakian, Dutch, and Italian. What is more, videos include parametric data and technical descriptions. If you want to learn more about the capabilities or the latest measuring and lab devices, visit our channel regularly. Subscribe to receive notifications about new videos – this way you won’t miss anything. We encourage you to send your remarks or ideas to: info@axiomet.eu. We will also appreciate any suggestions regarding AXIOMET products that we should highlight in our videos. Your feedback is very important to us. Start watching now! What’s more, AXIOMET also offers accessories extending the functionalities of measuring devices. We will successively present them on our channel.